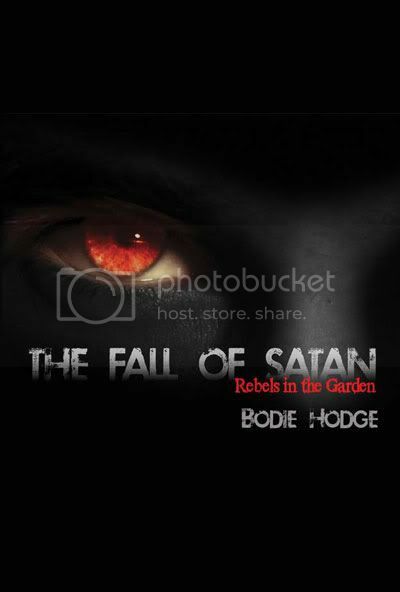 The Fall of Satan by Bodie Hodge, is one of those books where I stared at the description quite some time before deciding that I wanted to review it. Given that, I still failed to grasp that this book was going to be in a question and answer format. I was expecting something different. The Q&A aspect does work for the topic though. The ruler of darkness... the Tempter... the Great Red Dragon... Apollyon; the Destroyer... One being is revealed to have all these titles and more... names that reveal his horrific nature... All names given to Satan, your adversary who comes like a lion "seeking whom he may devour" (1 Peter 5:8). How could one created good become so absorbed by evil? Why would God, who is not evil, allow evil to continue to exist? Did sin begin with Adam or was its origin found in Satan? When did Satan rebel against God's authority? My take: I have mixed reactions to this book. I was expecting a book about Satan and about evil. I was not expecting questions like "Shouldn't Eve have been a clone of Adam?" or "Did Adam and Even have to sleep before the Fall?" I think I expected more about Satan and less about Adam and Eve. So in that I was disappointed. I expected more of this book to reference the New Testament, particularly Revelation. I guess the title The Fall of Satan should have clued me in that this was going to be primarily based in Genesis. Like I said, even studying the publisher's description, I somehow had a really different picture of what this book would be about. So my disappointments are primarily in what I expected vs. what was actually in the book. The questions like "Did the serpent originally have legs?" were terrific, and the Satan-specific questions comprise enough of the book that I feel this title has value. I'll confess I skimmed a few of the Q&A sections. I've read some of this stuff in so many other books, it was hard to go through it again. So, in my opinion, parts of this book were excellent. And if you haven't read lots of other young earth creationist materials that talk about the fall of man, you will probably get more out of the parts I tended to skim.